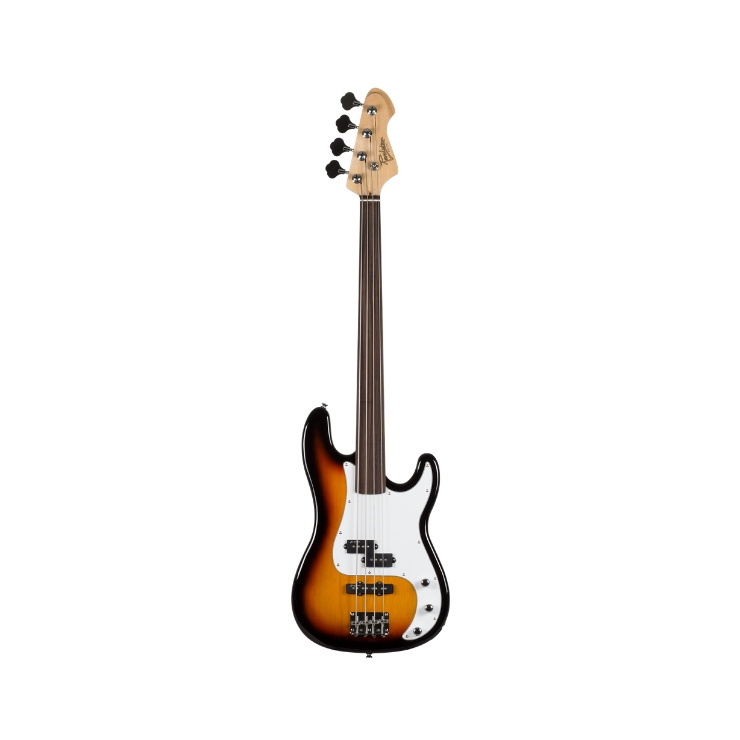 This is a cracking Fretless Precision Bass based on the Fender original finished in sunburst.. 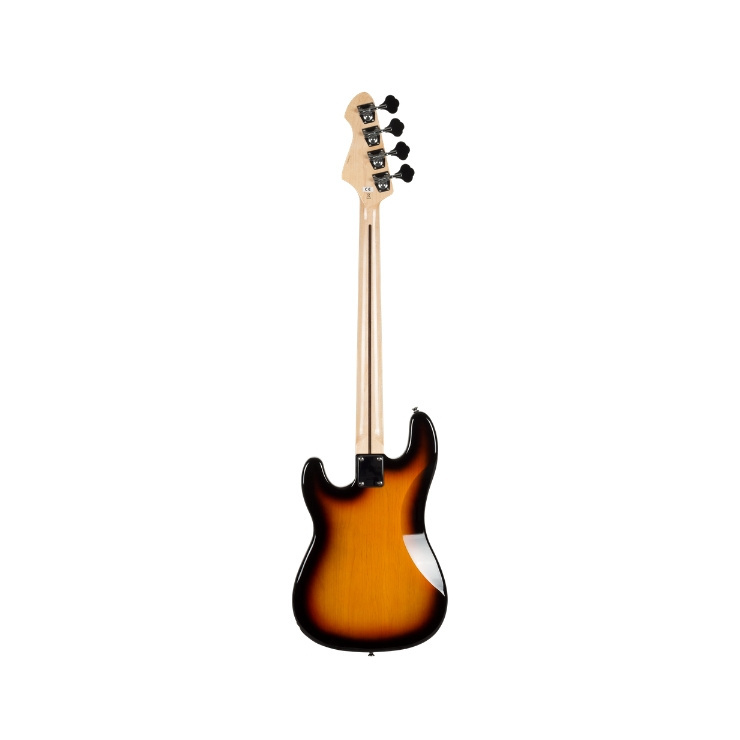 The body is made from basswood and a maple bolt on neck with a rosewood fingerboard with binding on the neck. The hardware is chrome plated with a vintage style bridge and vintage Kluson style tuners. The guitar is loaded with Alan Entwistle BX +PBX High Output Stress Field piuckups controlled by 2 volumes (250k) and 1 tone (250k).